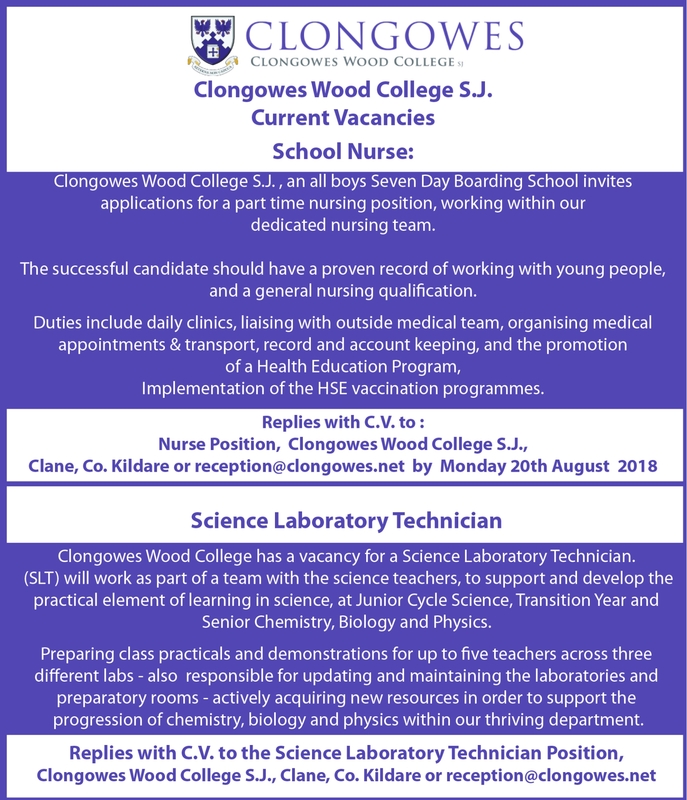 Two exciting opportunities have arisen at Clongowes Wood College, Clane. The college is looking for a part time School Nurse to work within the school's dedicated nursing team. A general nursing qualification is needed as well as a proven record of working with young people. See details below. There is also a vacancy for a Science Laboratory Technician as part of the school's team of science teachers. See details below on how to apply for these positions.